Everybody wants to win at roulette. Everybody wants to know a secret winning roulette system. It seems impossible to understand how to beat the spinning wheel and predict the winning number. 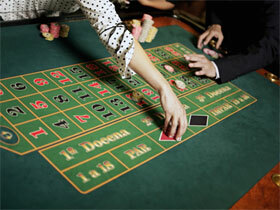 But there is one man, named Gonzalo Garcia-Pelayo from Spain, who revealed mystery of roulette table. He gathered a team, who later became professional gamblers known across all casinos. All they needed to do was to follow his direction, the rules, and most of all they had to be patient as nothing good comes quickly and without efforts. They were promised to live a wonderful life. They were not sure about the casino security, as they perfectly knew about the house rules. The thing was that all the wheels were not perfect and they could take advantage of that. They played hard, because they betted straight up bets. As they were winning they increased the bets. The process of playing roullete was very systematic and technical. In several months their bankroll grew up to $100,000. They won half million dollars from a single casino. The casino management was not blind and they decided them to play back. The dealer was told to spin the ball faster. They changed the wheel around the tables. The team was playing against the wheel and they swiftly recognized that the wheel #2 is on the table #5. They reached the winning of $1,000,000. They checked their system and were going to expand the business all over the world. They lived a good life, they traveled, did what they wanted. For the first month in Amsterdam they won around $400,000. In Vienna they set their own record at a rate $110,000 for one night. In Copenhagen they hardly played three hours. They won a little and were banned. The system works perfectly, but what it needs is the place to apply it. The entire Europe was closed for them and they decided to try the gambling capital of the world - Las Vegas. What will happen with them? We will get to know it soon!